• 11 babies were enrolled including, three orphans, one baby with a mother in the ICU, one baby of a woman with severe psychosis, two sets of twins, and two babies whose mothers were not producing breast milk. • 7 women were enrolled including, three for a ruptured uterus with subsequent hysterectomy and four for severe abdominal infections following their deliveries. • Nurses visited 170 women and babies. Mother Care Admission Story. At 18 Chimwemwe was pregnant for the second time. Her first child died as an infant and with that loss ever present in her mind she was praying for a healthy strong baby this time. She began laboring on December 22nd and reported to her health center. Two days later midwives determined that the baby was too big and sent her to the district hospital where a c-section would be possible. 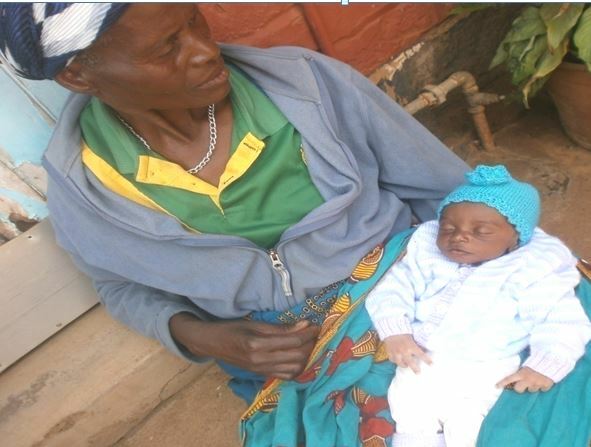 Chimwemwe delivered a healthy baby boy by c-section that same day. She was overjoyed with her baby but the pain from her surgery only increased over the following days. Clinicians at the district hospital noticed the deterioration of her health and sent her to the region’s high risk maternity hospital. There she underwent an exploratory laparotomy, they drained a half liter of pus, inserted a drain and started her on antibiotics. On January 12th she appeared greatly improved, the drain was removed and she was sent home. Joyful Motherhood nurses started their visits. Baby Care Admission Story. 22 year old Monica had a normal healthy pregnancy, she delivered her baby boy in the hospital. After his birth she began to hemorrhage, the bleeding was not stopped in time and the requested blood products were not available. Monica died quickly. Her mother left the hospital with a grandson, one tin of formula and her 22 year-old daughter’s body. She was referred to Joyful Motherhood for continued support.